A driver in Tyler, TX has sued a trucking company and truck driver for injuries sustained in a truck accident in Sept. 2015. The lawsuit alleges that the plaintiff was driving his Dodge Ram with a trailer on FM 14 near Tyler TX when the defendant did not yield right of way when he was entering FM 14 from a driveway and he struck the Ram truck. The front of the pick up truck was wedged under the trailer, which caused severe damage to the pick up and to the trailer. The plaintiff also suffered broken bones, lacerations and other injuries. The lawsuit is seeking compensation for his medical expenses, mental anguish, lost wages and future medical care. 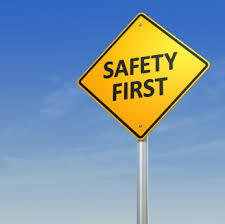 Truck companies and their drivers often are in a hurry to complete their route, and this can lead to serious accidents. Our Virginia truck crash attorneys have represented many plaintiffs that have suffered severe injuries after a truck driver was not paying attention to the task at hand or was in a hurry, and caused a serious truck accident. The Virginia Commercial Driver’s Manual stresses the importance of paying careful attention to driving tasks at all times when behind the wheel. It also is very important for truck drivers to properly manage the space around their vehicles so that they have time to maneuver if something goes wrong. When pulling out of a driveway, the truck driver needs to be certain that there is enough space between the trailer and the oncoming driver. Trucks take much longer to accelerate to highway speed, given their weight. So, a truck driver will need to give plenty of space to oncoming traffic when pulling onto a highway so that he can get up to speed to prevent accidents. Our truck accident law firm handled a case in 2006 where a truck driver miscalculated the distance from a car on the highway. This caused a fatal accident when the car flipped over and our client was killed. That case was settled for $2.4 million. It was a harsh reminder that all truck drivers need to pay careful attention to the rules of the road, and leave adequate space from other vehicles to prevent mishaps.